Haritaki or Harad is packed with immune-boosting antioxidants vitamin C. This Ayurvedic herb also has healing anti-inflammatory, anti-bacterial properties. Here's why you should try this wonder herb to soothe your cold, sore throat and clogged nose this winter. Winters are almost here and so is the tussle between our system and immunity. The transition in season coupled with air pollution and smog has left many people struggling with cold, cough and breathing problems already. Experts predict that things may turn worse, if necessary actions are not taken immediately. Ayurveda has many herbs that may be of help in present scenario. Harad, or haritaki, is one such herb that is renowned to boost immunity, promote healthy digestion and ease constipation. 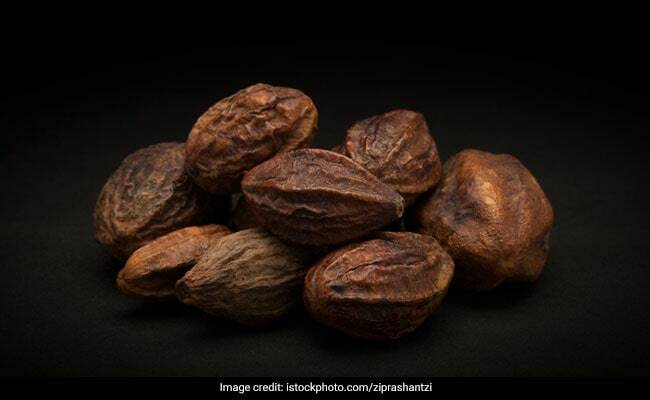 Haritaki (Terminalia chebula) is a tree native to southern Asia and India. Ideally consumed with warm water or honey, the dried fruit of the tree has been an Ayurveda favourite since time immemorial. Here's why you should try this wonder herb to soothe your cold, sore throat and clogged nose this winter. Haritaki is packed with immune-boosting antioxidants vitamin C. It also has healing anti-inflammatory, anti-bacterial properties. One of the reasons for clogged nose is inflammation caused in the inner lining of your nose. Haritaki helps heal inflammation and provide instant relief. Additionally, harad is also rich in vital nutrients like selenium, manganese, potassium, copper and iron. Haritaki powder boiled in water is a traditional remedy to treat cold in children. The remedy is pretty effective for adults too. The anti-inflammatory and antioxidant properties in haritaki are also helpful in treating sore throat, dry cough, and discharge mucus. "One can simply have haritaki powder mixed with honey. By curtailing the growth and multiplication of bacteria, it helps boost your immunity. It has a bacterial static effect rather than killing the bacteria stops the multiplication," says Ayurvedic expert, Dr. Ashutosh Gautam. Biting a small piece of harad, or haritaki, is also a good remedy for dry cough. However, make sure you do not chew into too many pieces; doing so may upset your digestion.